Considering a decking project? We're here to help. Visit a store or make an appointment online. Bring blueprints, photos, or sketches of your deck project into your local Dunn Lumber, and we'll help you build the perfect deck. Our team has generations of experience to help you prolong the life of your deck, add lighting or railings, or refinish the surface. Need to replace a board, or fix a larger issue? Our experts can help get your deck ready for relaxing and entertaining. To get started, download our budgeting worksheet. Trex, TimberTech, Azek, WOLF, Deckorators, dassoXTR Bamboo Decking, WalkGreen, Kebony, GacoDeck, Exterior Wood Premium Grade All-Purpose Construction Lumber, Woodway, Fortress, Western ClearView, Penofin, Sikkens. We don't have a guarantee, we have a promise. 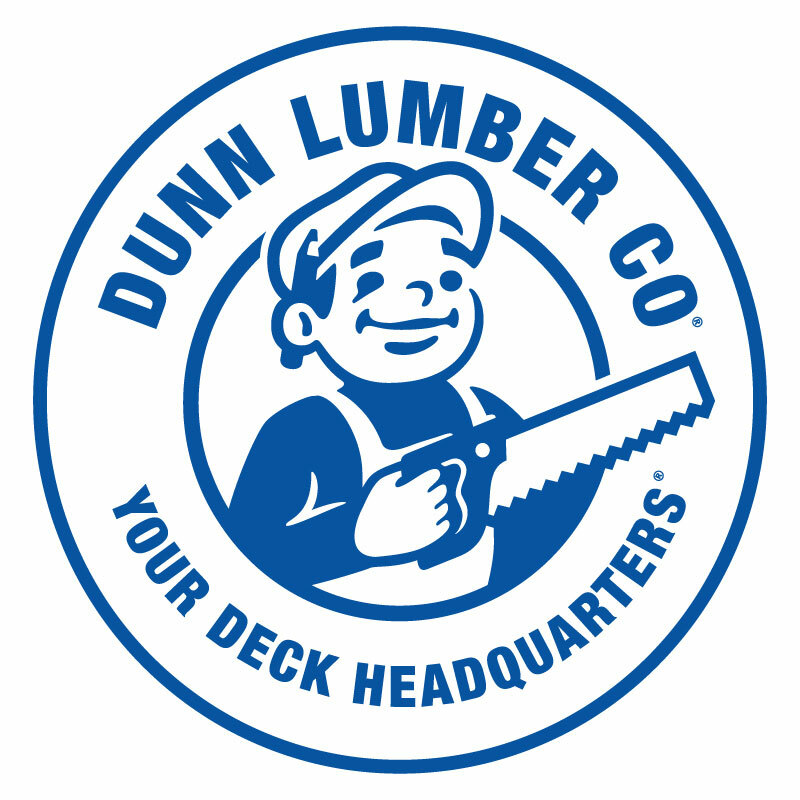 In 1907, Albert Dunn made a promise that Dunn Lumber would always give our customers and employees a square deal. We believe in providing you with lifelong value not short term gain. We only stock and sell the highest quality materials, so your projects can withstand the test of time. The number one reason to entrust Dunn Lumber with your project is our team. Between our nine locations, we have over 3,500 years of experience. All these wonderful people are here to help you, free of charge. Providing you with expert advice and quality materials is only half the job. The other half is getting those materials home safely when promised. We offer a flat $40 delivery for all local orders. QUESTIONS ABOUT BUILDING, MAINTAINING, OR REPAIRING YOUR DECK?